If you’ve been obsessively checking the forecast, hoping the chance of snow will disappear, the National Weather Service doesn’t have the best news for you. Parts of King and Snohomish counties could see anywhere from a light dusting to three inches of snow between early Wednesday morning and noon, meteorologist Johnny Burg said Tuesday evening. It all depends on where two wind currents decide to collide, in what is known as a convergence zone, which could bring snow to lower elevations. 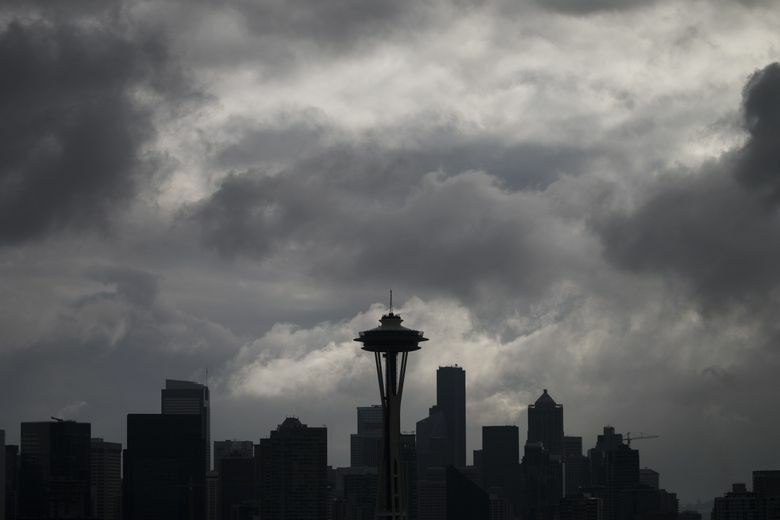 “It’s possible that Seattle could see some light snow accumulations, but we can’t say for sure yet,” Burg said. Snow is difficult to predict, and there’s a lot of uncertainty about where the convergence zone will set up, Burg said. Meteorologists likely won’t have a better picture of what to expect until an hour before the weather event occurs. If the region does see snow, it will likely begin in the morning, just in time for the commute, he said. Rain hit the region Tuesday, with the precipitation coming down as snow in the mountains. The weather service received some reports of snow in the Bellingham and North Bend, but it wasn’t sticking Tuesday afternoon. For those in higher elevations, there was a winter storm warning through Wednesday morning in the Cascades from Snohomish County southward and a winter storm advisory north of Snohomish County. The cold, chilly, below-average temperatures will stick around for at least the rest of the week, with another system moving in Friday and Saturday. The weather service is also unsure whether the Puget Sound region will see snow then, Burg said. This month’s snowstorms gave Washington’s mountain snowpack a boost, but snowpack levels are still lower than normal across most of the state.